Stephane Origer -a young talented winemaker- has chaired Domaine Ogier since 1997. Vinification has been taking place at the Domain since 1982. The 12- hectare vineyard grows old vines on Cote-Rotie exceptional terroir (schist soil). The Ogier family's agricultural policy is focused on the quality of the grapes. Domain Ogier imposes low yields: grass cover, disbudding, leaf-stripping, short pruning are practiced almost systematically. Stephane Ogier's wines -from Condrieu, Cote-Rotie, and Saint-Joseph AOC- are served in France’s finest restaurants. 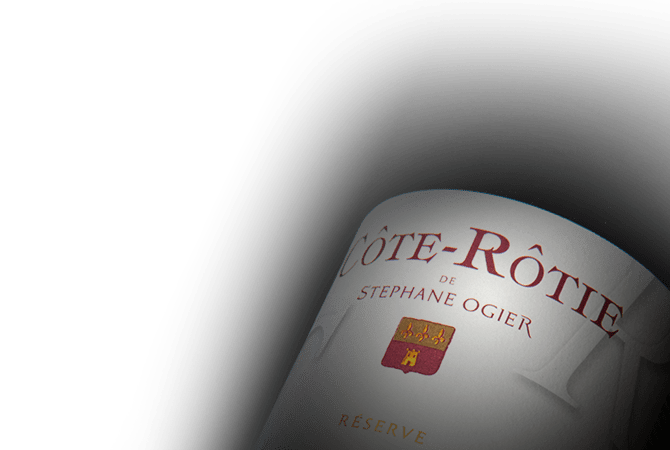 Domaine Ogier meticulous parcel selection yields wines with round tannins, more concentration, and a more distinctive character.